Published: Nov. 10, 2014 at 04:48 p.m. Updated: Nov. 11, 2014 at 08:50 a.m. The Detroit Lions sit a 7-2 for the first time since 1993, largely with the same players that cratered last season, which caused sweeping changes to the coaching staff. Jim Caldwell has brought an air of calmness to the Lions' locker room that has allowed players to be loose and instill confidence. Those feelings have translated to three straight last-minute wins, where previous Lions teams would have imploded. 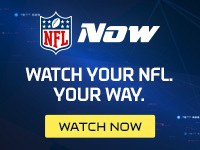 NFL Media's Nate Burleson, who spent the past four years in Detroit, said on NFL Network's Aftermath show on Monday that the players are embracing their coach's personality. "I talked to some guys while I was in Detroit (last week). A vet of nine years, said, 'this is the first time I've ever felt like a professional football player,' talking about Jim Caldwell," Burleson said. "Another guy said, 'he is one coach that understands the temperament of this team, which means when we show up on Sunday we're going to give everything we've got because he's taking care of us during the week.' "
It's nearly impossible not to read that as an indictment on former Lions coach Jim Schwartz, who was viewed as combustible and militaristic in his approach to managing players. Burleson added that Caldwell's persona has seeped into his players. "Another person said in the organization -- that's not even a player -- 'I haven't heard him curse or raise his voice,' " Burleson said. "That goes a long way with a team, which was supposed to be immature over the last few years. Now all of a sudden you've got a young team but they're vets, they're different now." While some of the penalty issues remain, this team hasn't displayed the self-inflicted wounds that plagued them in the past. In good times the coaching staff gets credit. At 7-2 and atop the NFC North, Caldwell deserves kudos for the team's start. With trips to Arizona (8-1) and New England (7-2) on the docket, we could see how Caldwell's crew responds to larger, elongated adversity.